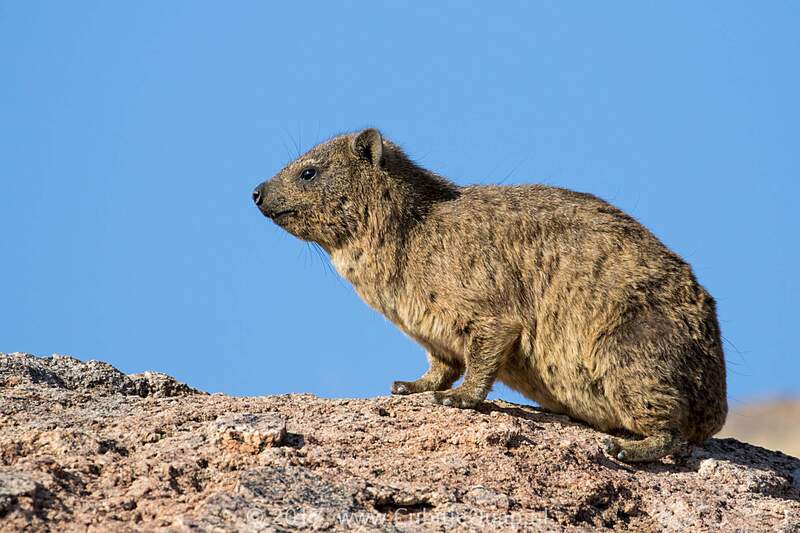 Small, stoutly built, tail-less animals with short legs. 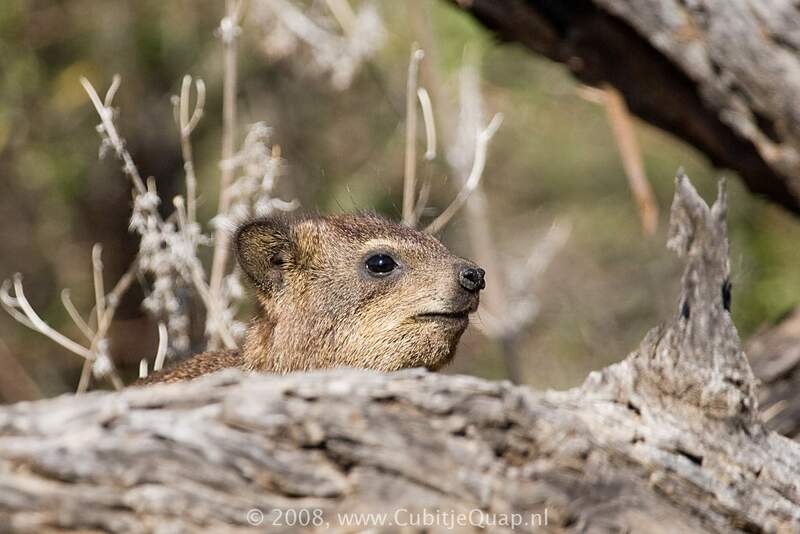 Their ears are small and rounded. Hair colour varies considerably in all species. All species have a patch of erectile hair overlying a glandular area in the center of the back. 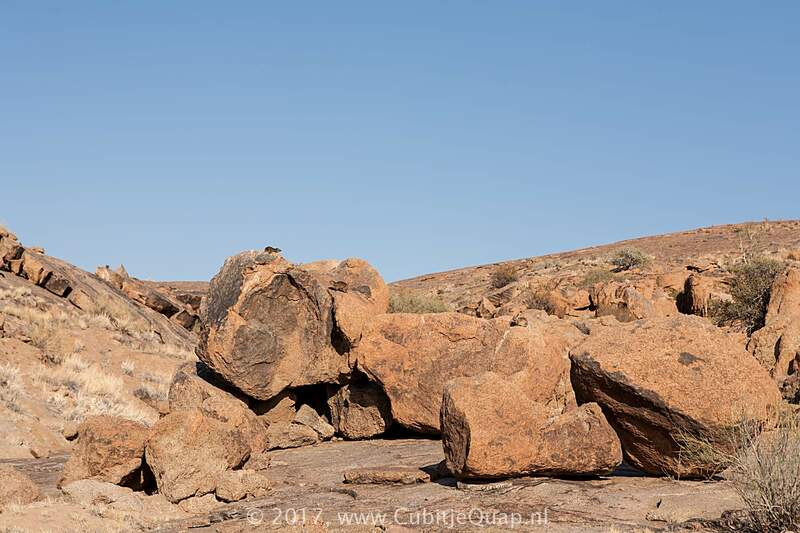 Rocky areas from mountain ranges to isolated rock outcrops. 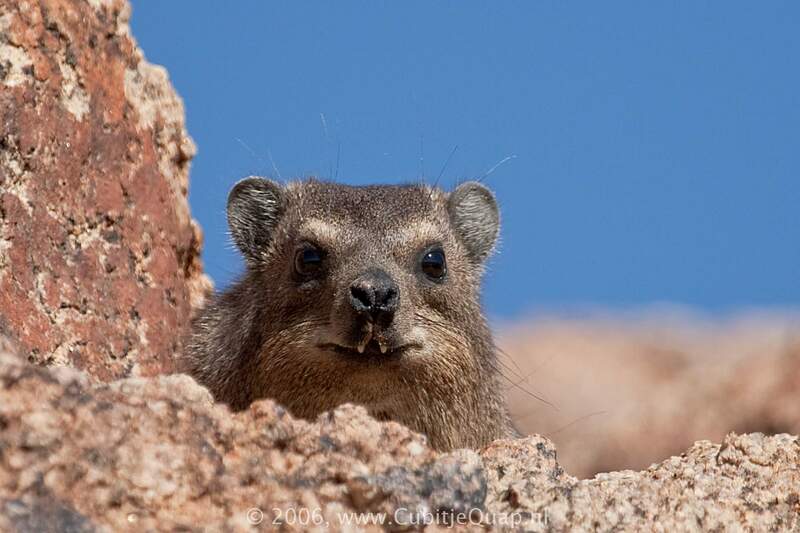 Rock dassies are usually diurnal, living in hierarchical groups ranging from 4 - 8 individuals. 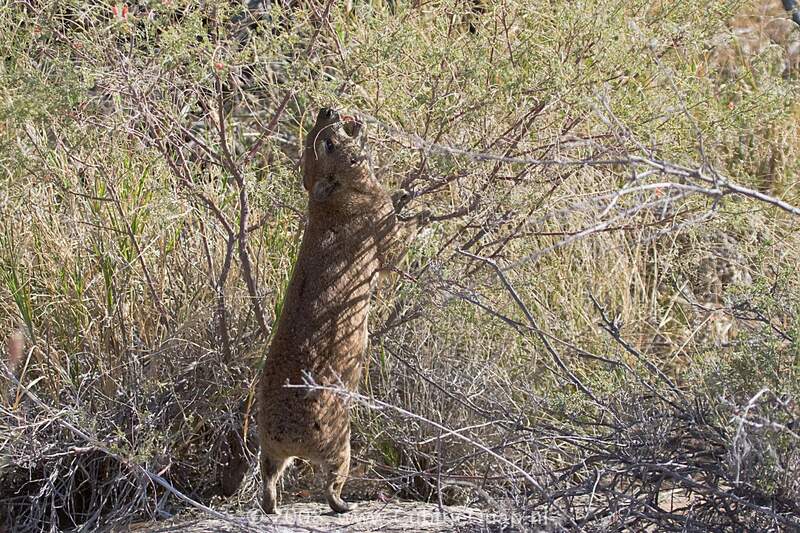 Usually an adult animal (male or female) keeps watch for predators. 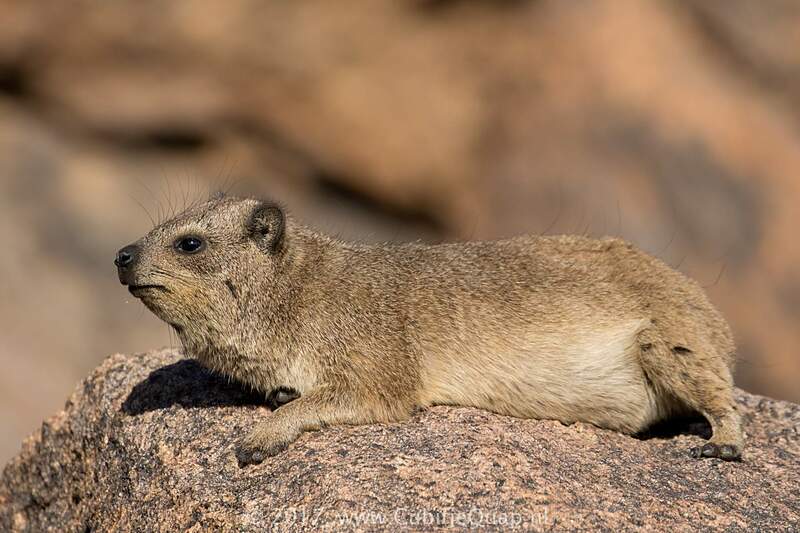 If disturbed, the guard gives a sharp cry and the dassies scuttle for cover. Most of the feeding is done in the morning and close to shelter. 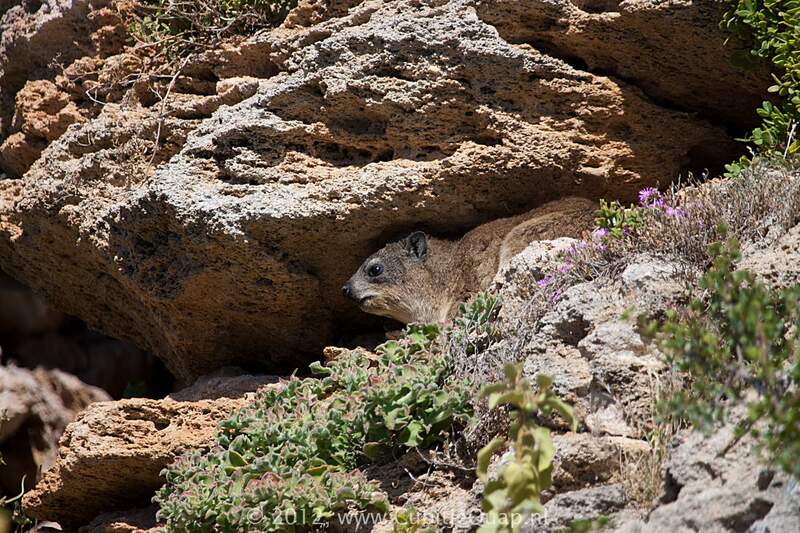 Dassies are both grazers and browsers with quantities of each varying according to the season. They eat a very wide range of plants. 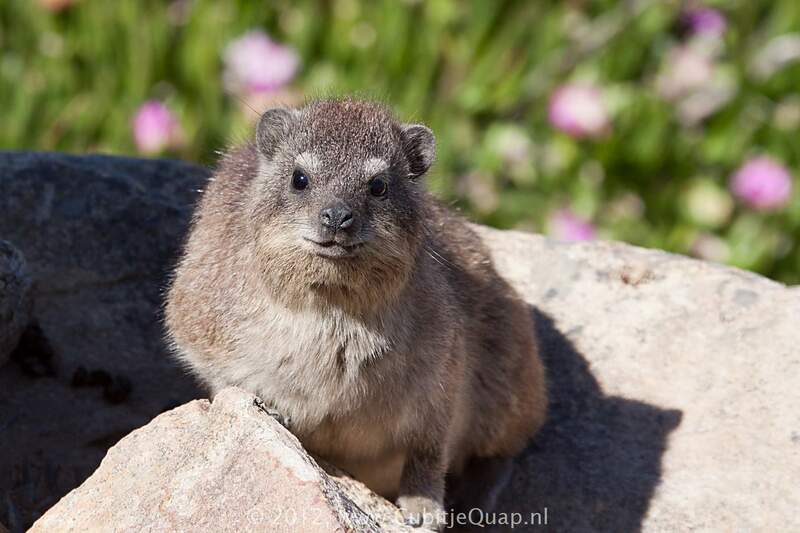 Although rock dassies appear rodent-like at first sight, their evolutionary relationships in fact lie with the elephant and the dugong (an aquatic mammal).